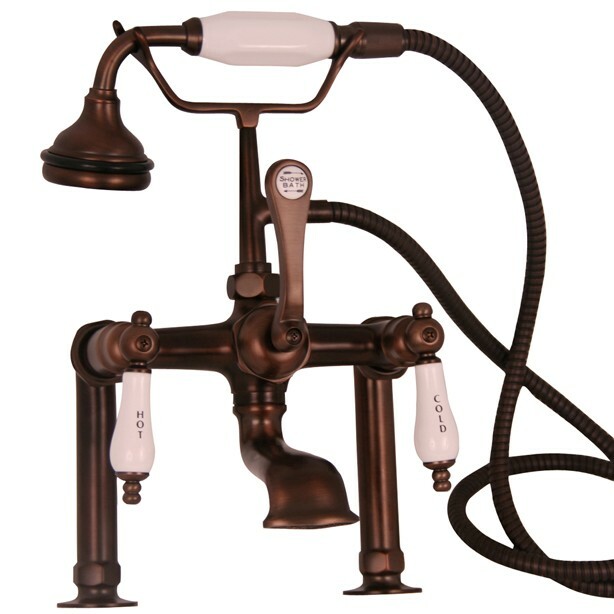 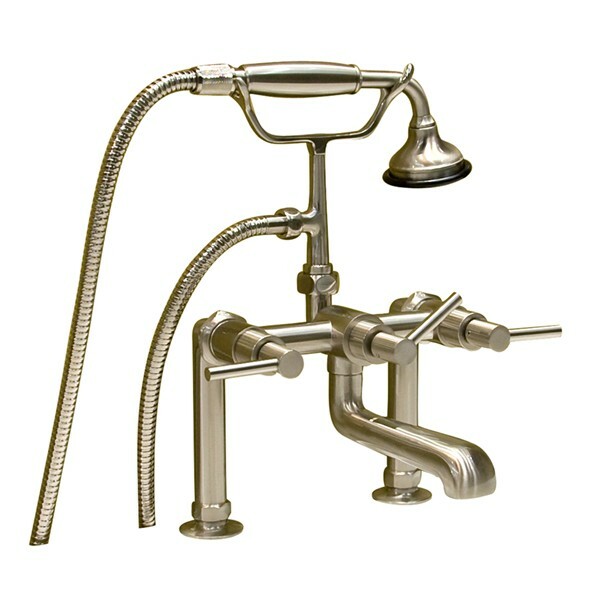 Barclay has all the faucets need for your clawfoot tub: supplies, risers & drains. 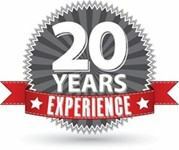 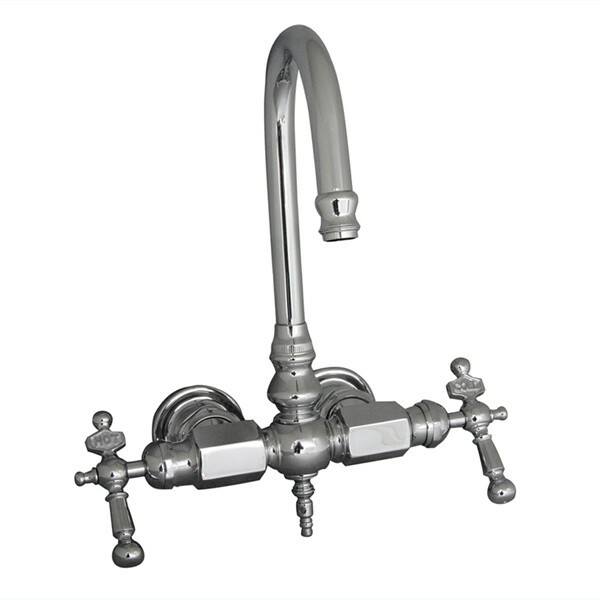 It can be difficult to know all that is necessary, no fear - just give us a call or drop us an email and we will be happy to help you out. 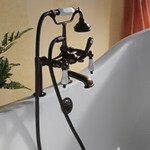 Freestanding cast iron and acrylic clawfoot (& pedestal) bathtubs need special faucets. 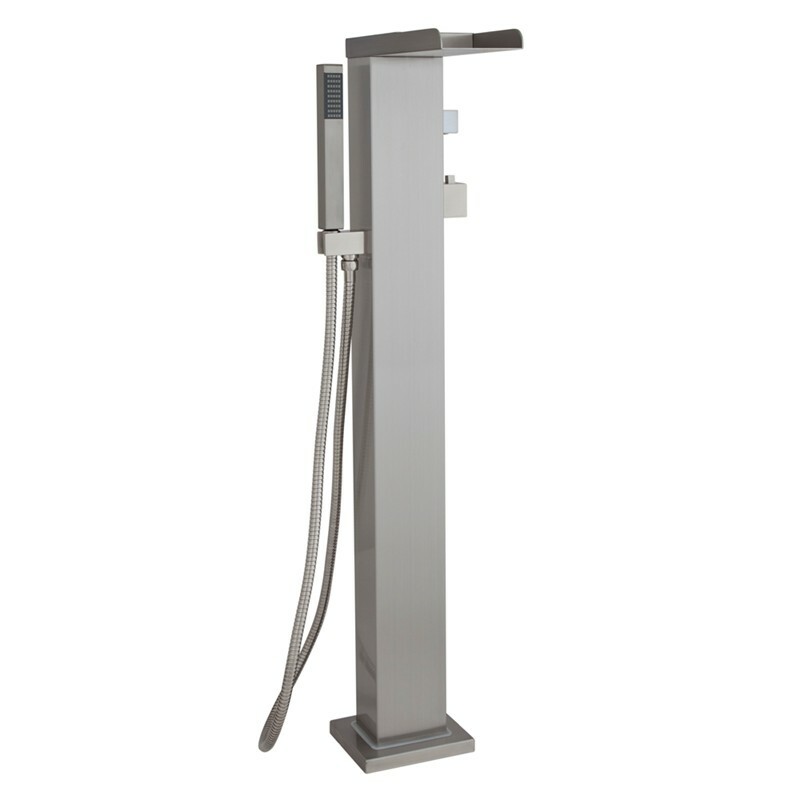 Depending on the tub, the faucets need to be wall mounted, deck mounted or freestanding. 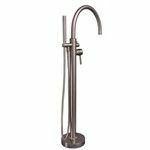 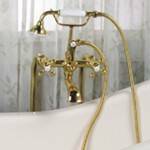 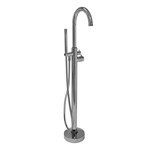 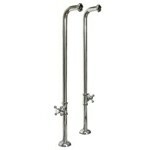 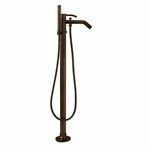 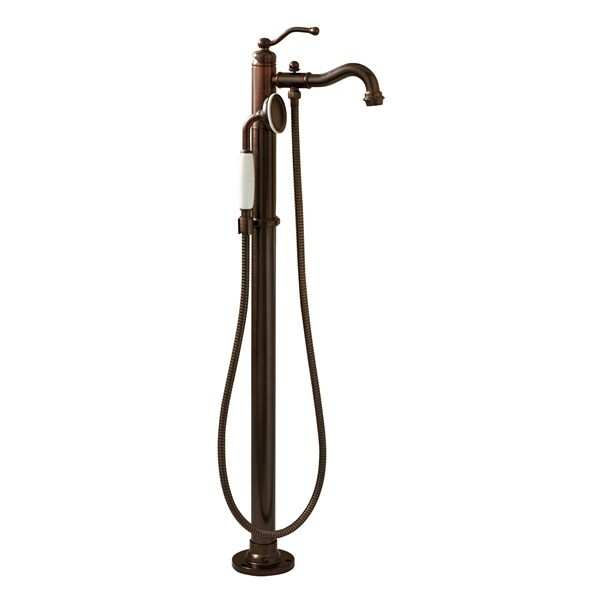 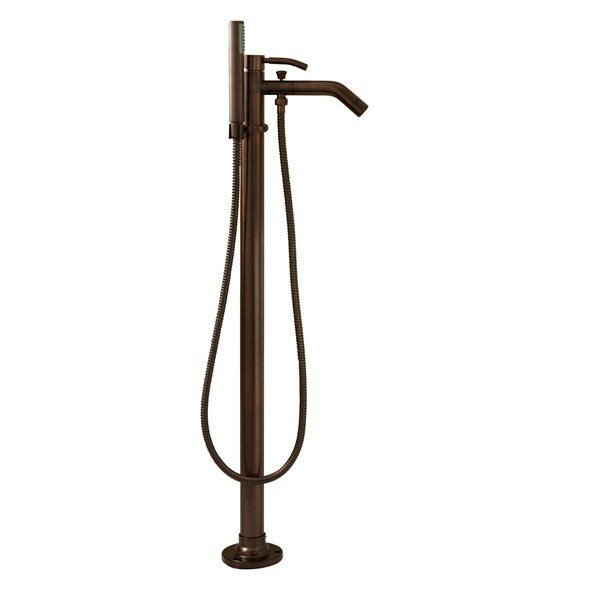 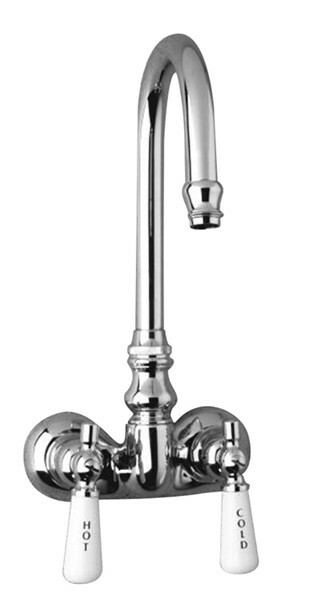 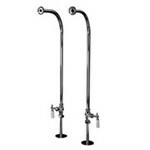 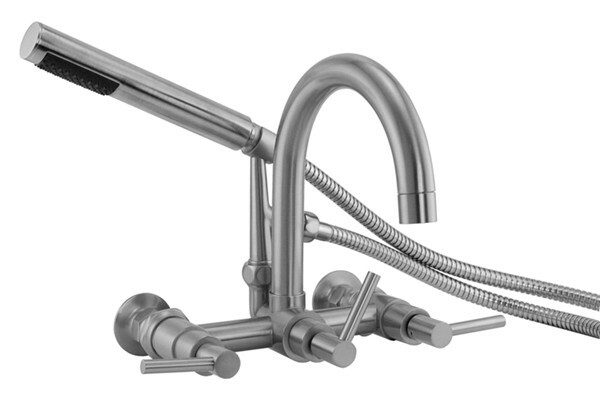 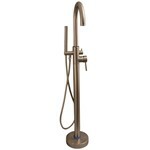 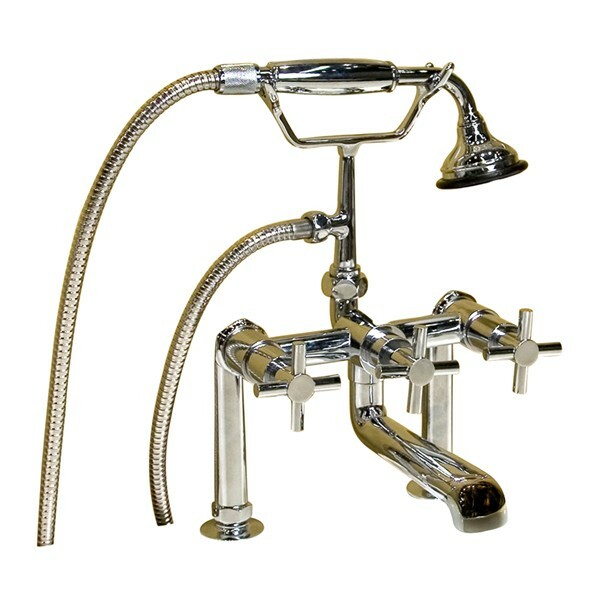 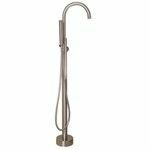 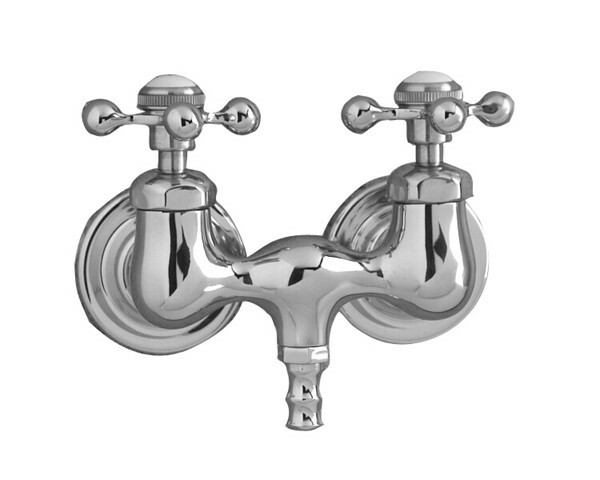 Find a large selection of faucets to install on the tub wall, tub deck or freestanding. 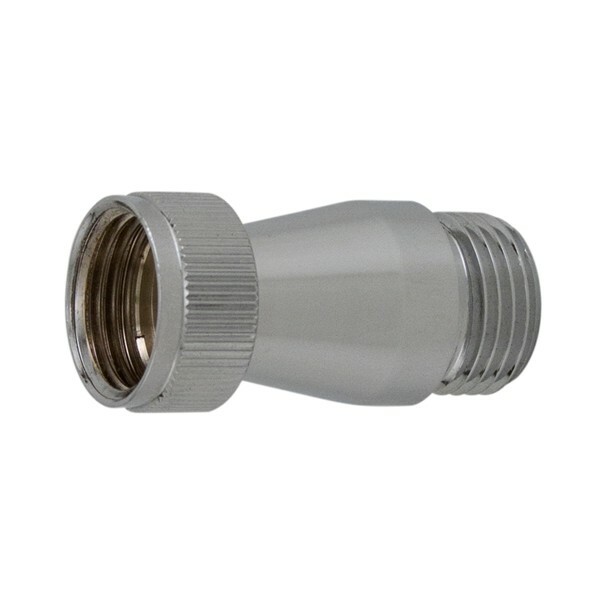 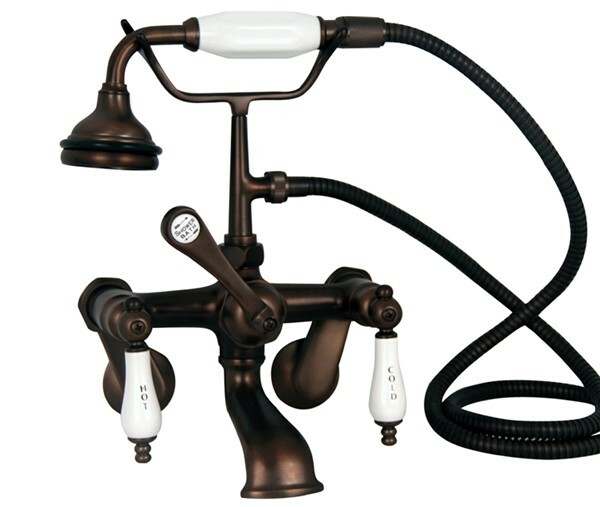 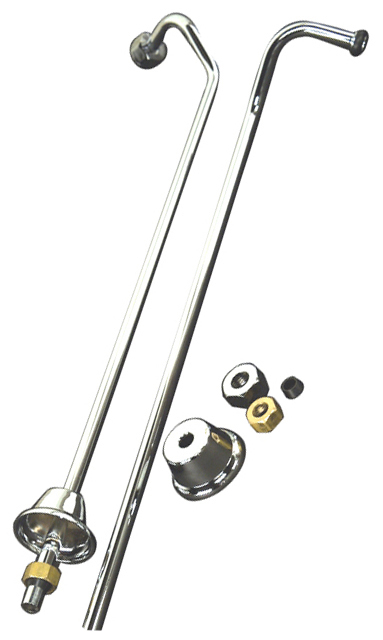 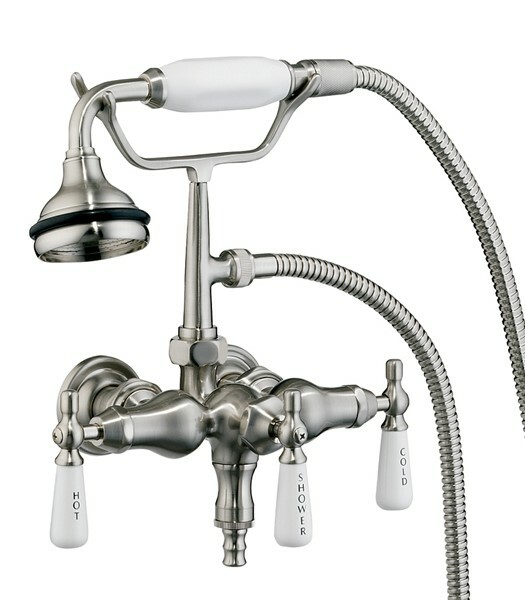 Some offer a diverter for an overhead showerhead, others offer a handshower. 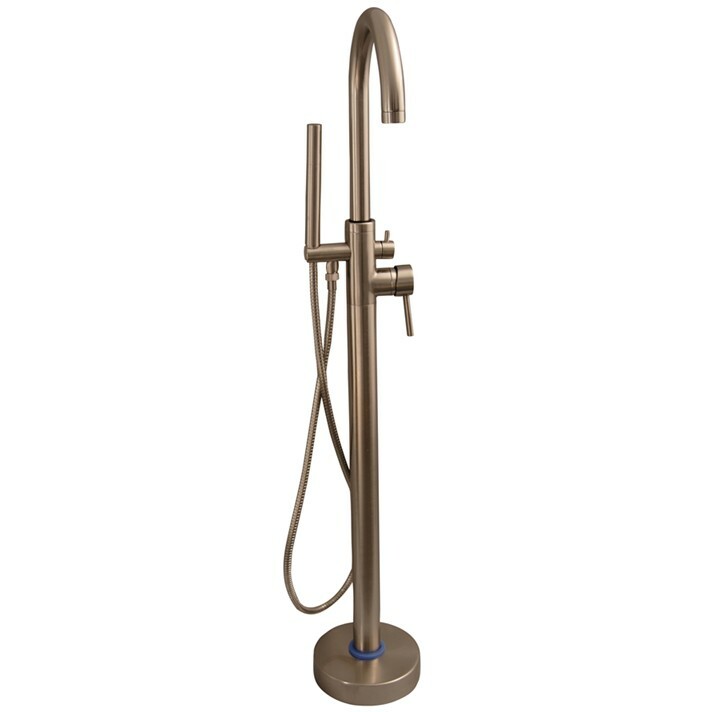 Use the quick links below to find your style. 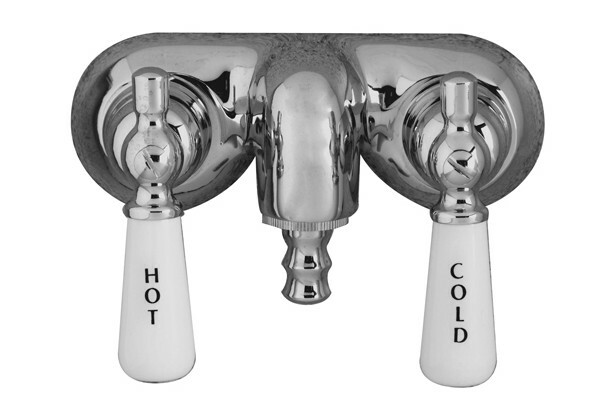 These faucets mount on the wall of the tub (inside the bathtub). 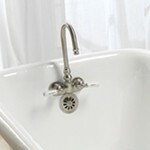 They all have 3 3/8" centers to fit tubs with 3 3/8" drilling in the bath. 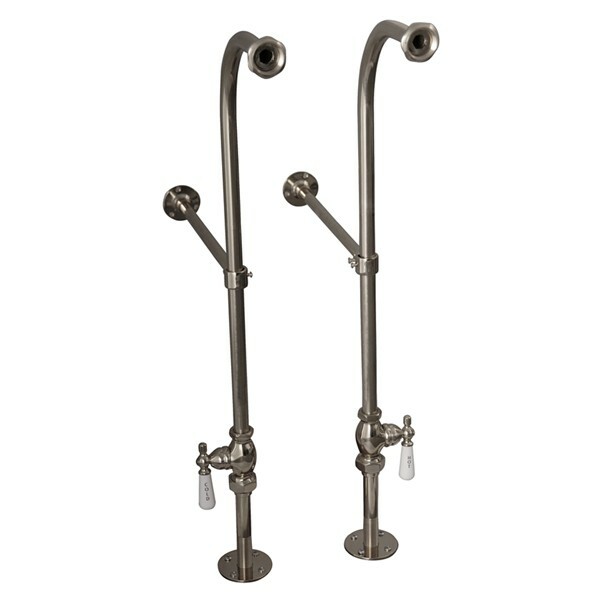 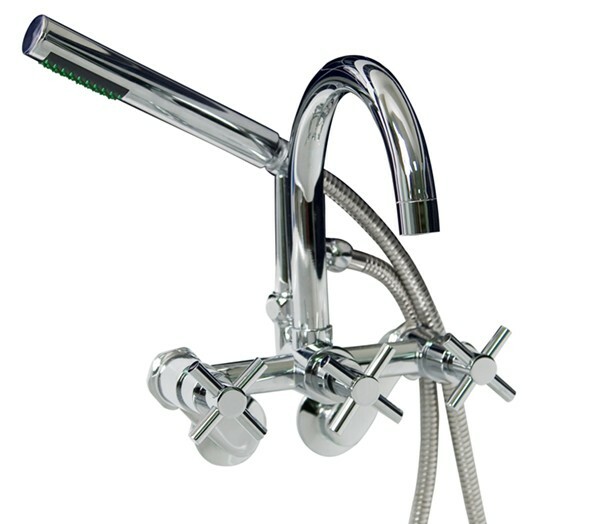 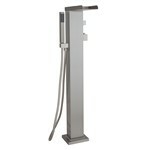 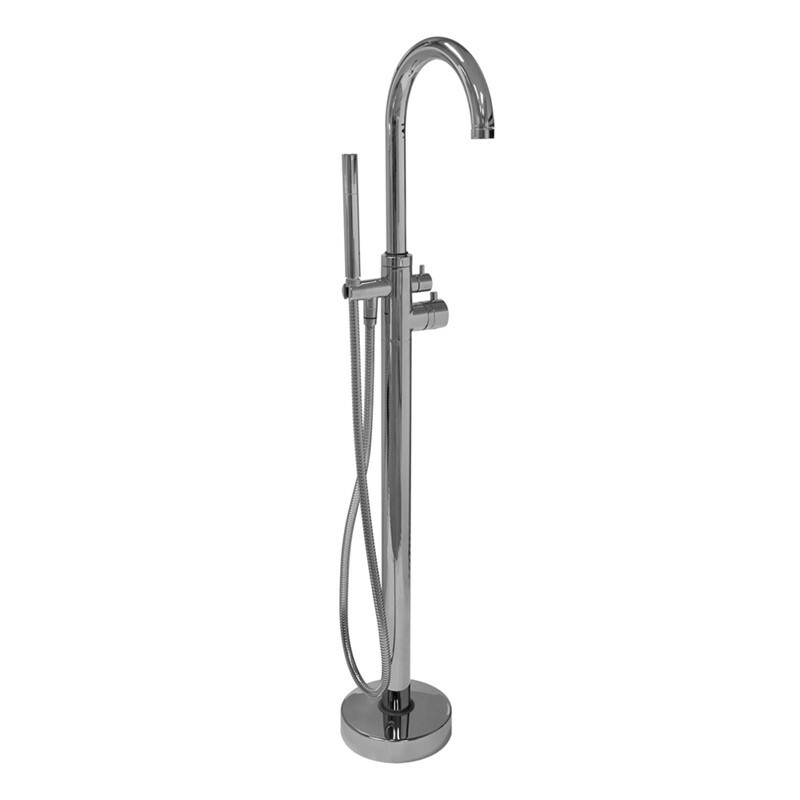 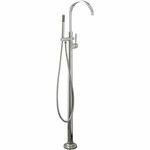 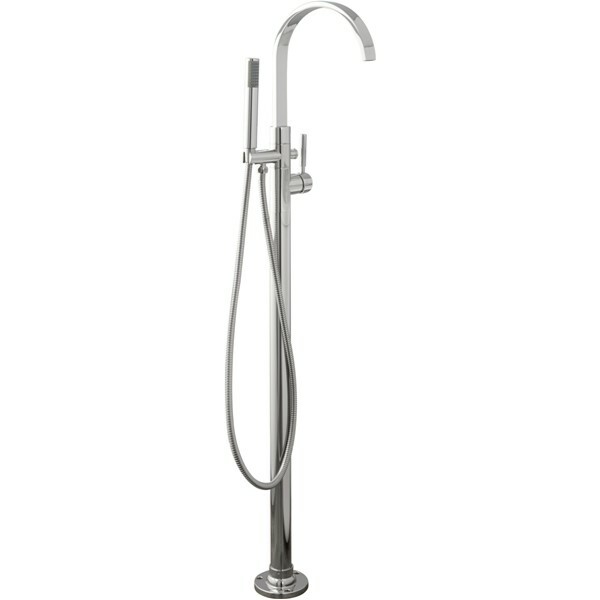 Choose tub filler only, or with a diverter to an overhead shower or with a handshower. 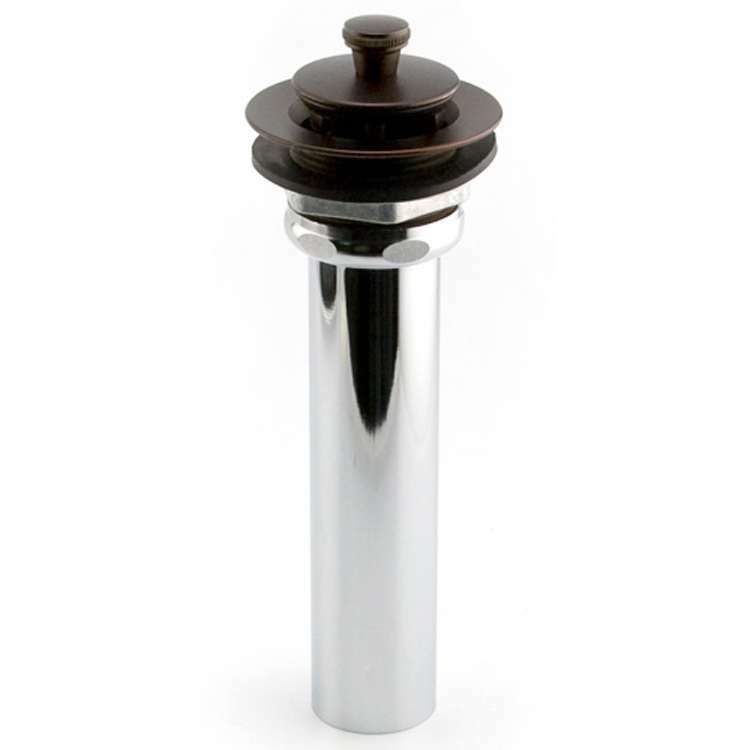 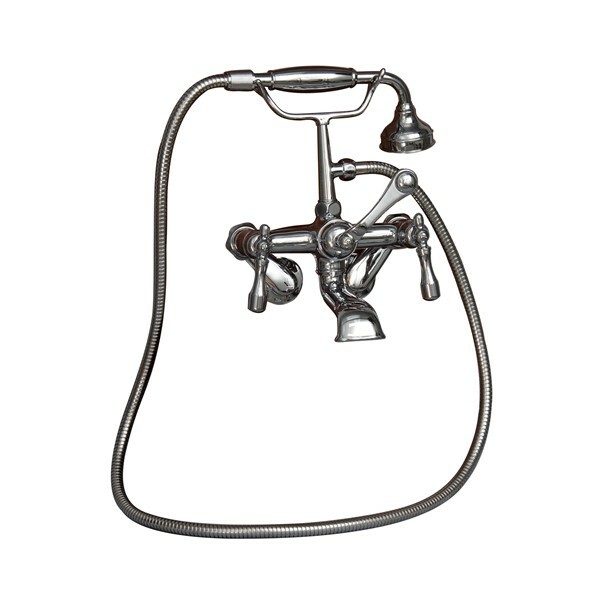 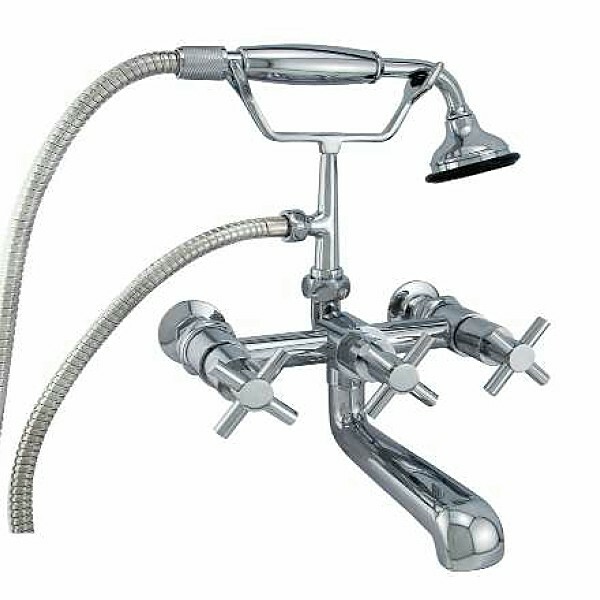 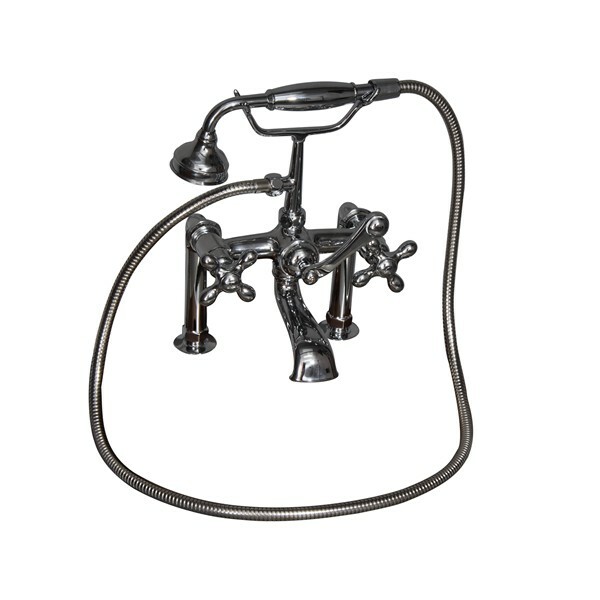 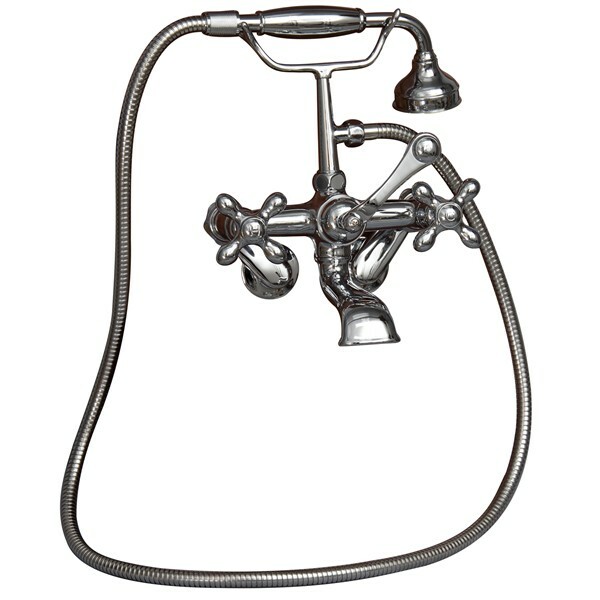 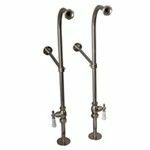 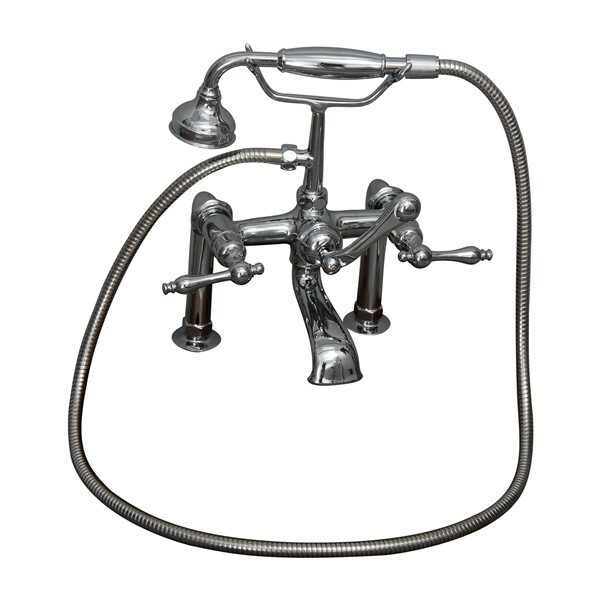 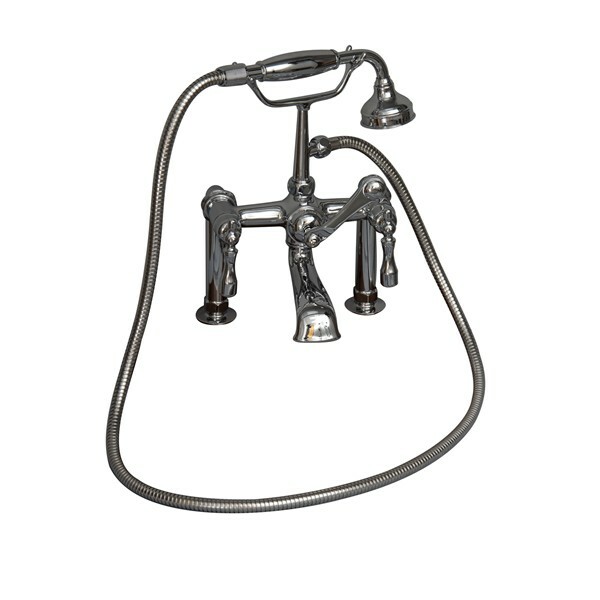 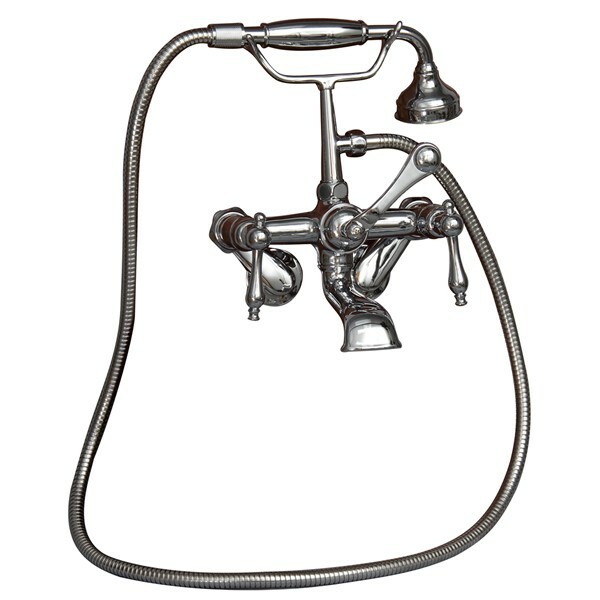 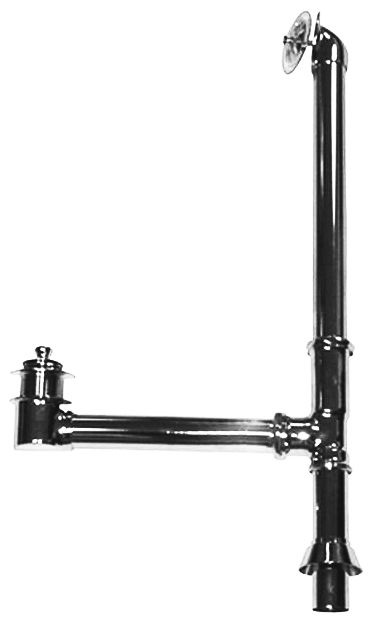 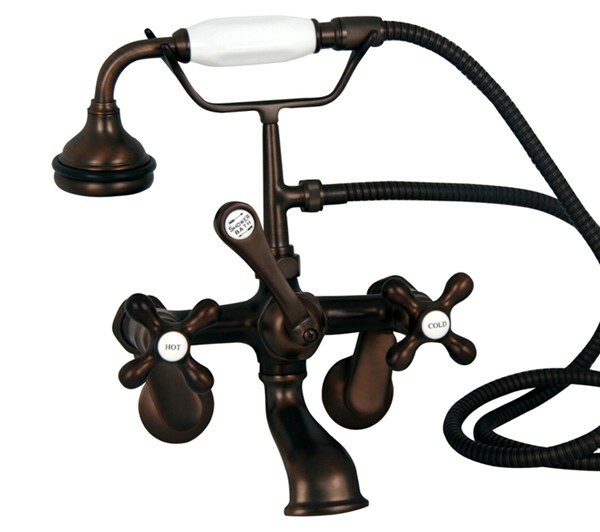 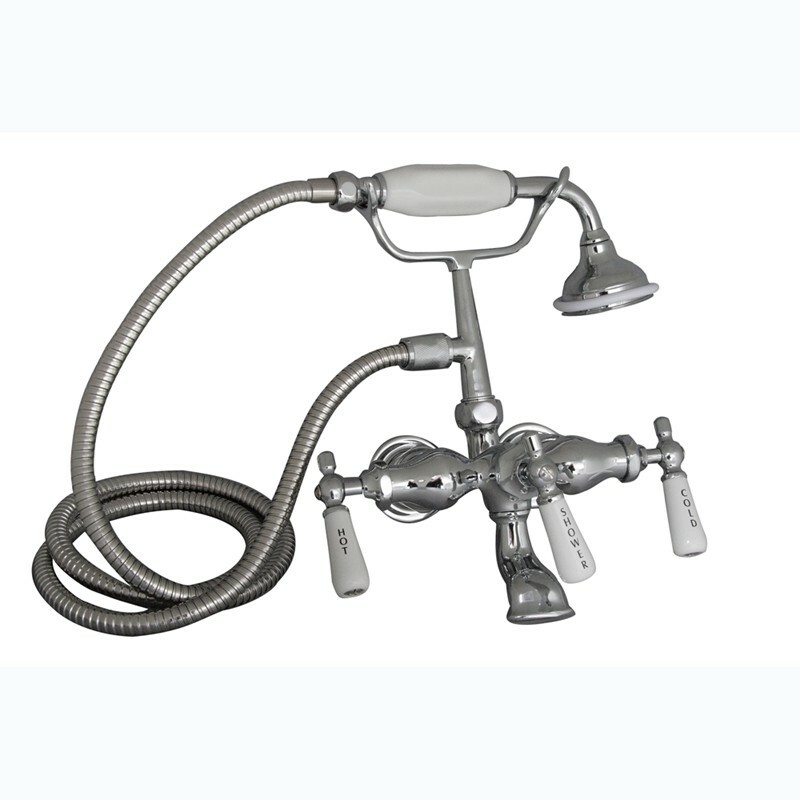 Adjustable Swivel mounts 3" - 12"
Deck Mount tub faucets are used when the tub has a pre-drilled faucet deck. 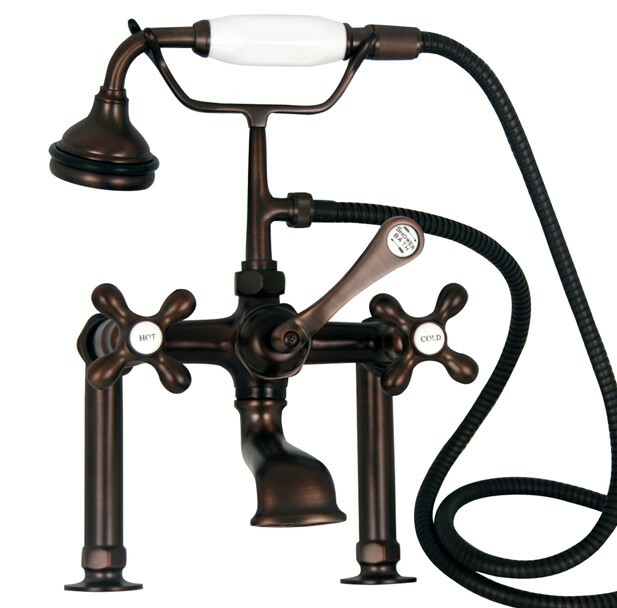 All come with hand shower which sits on a "telephone" style holder. 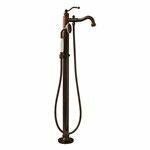 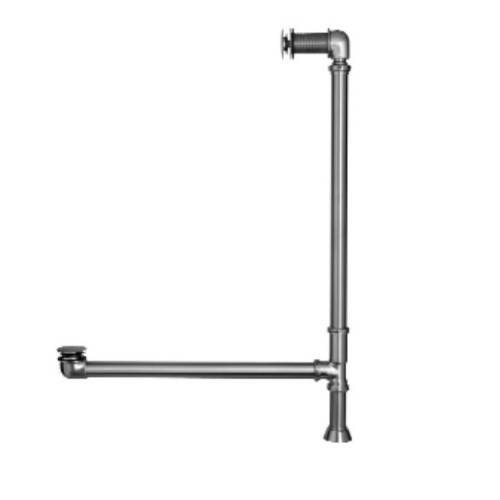 Spout reach is 9 1/2"
Floor to spout - 35 1/2"
Floor to spout - 40"
Floor to spout - 33.5"
Floor to spout - 33"
Floor to spout - 45"
Supplies water from the floor to the deck mount faucets (straight supply) or tub wall faucets (double offset).